This is Mod Jon, I wanted to post a reply to your article in the tip.it times. I appreciate the time you took to write up a review on our Jmod events, hence why I wanted to take the time to reply myself . The event you attended on the 13th of March was completely mental, and a first for me. We had been experimenting with ways to promote our events better, as the quick poll showed that many people weren't even aware of our events. As a result, for this event in particular, I created a banner which was featured on the lobby rotator and also an announcement on the in-game clock. Where for the same type of event (same theme, same time etc...) that was hosted in January saw around 50 people gather and kill zombie monkeys together, this one gathered over 350 people! I was clearly not prepared for that many people to take part in the event and was really pleasantly surprised at what difference a little bit more promotion made for the event. As I said earlier, this was a huge first for me as an in-game event organizer and came to some of the same conclusions myself after the event. Hosting an event with so many people is always somewhat of a challenge, especially given the nature of the particular event that we hosted. In the past we have found that players (when in smaller numbers that being) really love to go on a tour of Gielinor, kill some spawns on the way, and end up in safe clan wars for some casual Jad killing. For the event you are talking about, which was a Friday the 13th red nose day zombie parade, there were a number of problems that arose during the event, which made us rethink the event on the fly. The lag, for one, was very disruptive for some people, and that is why we tried moving the event from one place to another. This gave us trouble sticking to the original theme of the event so we had to improvise! The original idea of the event was to go to the grand exchange, and together try to get as many people as possible to wear red in honour of Red Nose day (a British charity event) but this had to change because of the huge gathering. The only reason we ran a few games of The Drop, was because of the sheer amount of player who attended the event, and we wanted to offer something extra for them. And to a large extent, this worked as everyone who took part had a great time. In hindsight though, we should have maybe hosted these Drop games somewhere easier to access for everyone. When the event started, Mod Neena and I (Neena and I were co-hosting the event) saw that the turnout was higher than anticipated, and split the event up into two worlds. This clearly wasn't enough, but surely did help a lot of people take part in the event all the same. In the future, more hosts for this type of event would be a great call. In regards to event times, indeed we host events during our own office hours, which are UK times, but Mod Lee also hosts regular events for American time zone audiences and all the details for these are on the forums, in the JMod events thread. So even though it may not be apparent, and more promotion may be needed for them, we do try to cater for the widest audience possible. I really appreciate your feedback on events, and I hope you'll be happy to hear we are currently trying our best to improve the events we host. This includes asking fansites (like tip.it) to co-host events with us (your admins can check our Forums in the Fansite Staff section for more details if you are interested). All in all, that event that you attended was a very different event to the ones we usually host, and if anything helped us identify problems we need to address and improve in the future. Hello Mod Jon, welcome to TIF and thank you for your reply! It's certainly an unexpected pleasure to see a JMod post here . Maybe we'll see you around here more? I'm glad to hear that all the promotion you did for the event exceeded your expectations for attendance, even if it did produce a bit of lag for many of us. 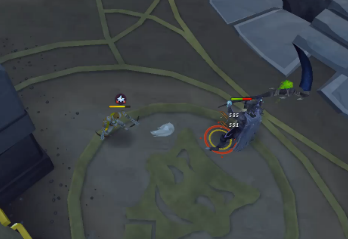 I think the little icon on the game clock is doing wonders in general - it provides a convenient, easy-to-access way to check for a JMod hosted event in the near future. I see there is an Easter-themed event tomorrow (16:00 game time). Again it's during the middle of the day for me (American time zone) and I have something until around that time, but I will definitely stop by if it's possible for me to make it. #TeamEgg!